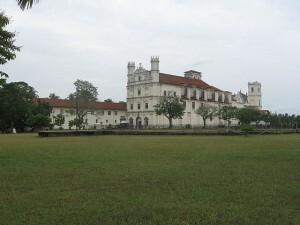 Though India has several enchanting tourist destinations yet Goa is the most favored and pulsating destination for me. It is not only because of speckled charm of nature in the form of sea, sun and sand but also for its electric culture, nightlife and festival celebrations. I felt the cultural effervescent of Goa last year when I was there during the carnival time. Goa Carnival is the vivacious celebration which showcases diverse culture of this beautiful land. Carnival is the most colorful cultural celebration of Goa, whose charm is known across the globe. This is a three day cultural fiesta renowned for its fun, frolic, amusement and merrymaking. It is the most eagerly awaited events of the year celebrated in February and March. Though this is a Christian festival yet people irrespective of their faith and religion take part in this festival. I was totally engrossed with a high spirited celebration of the carnival. Whenever I went, I found the fun and frolic atmosphere. There was something in an environment that stimulates senses. The decorated streets and twinkling bulbs at every corner create a magical ambience which spell bounded me completely and gave me the feeling that I was in fairyland. As my friend suggested I have chosen Panjim the capital of Goa to enjoy this three-day mega feast. This city is the centre stage of carnival because it is the official place where the ‘King Momo’ an officially appointed festival ruler begins the carnival through a Mardi Gras-inspired procession through the streets. And it is the same place where the carnival ends with red and black dance by the Club Nacional. The word Carnival is derived from the Latin word ‘Carnavale’ which means to throw away meat. During this period person stay away from meat for 40 days, this is known as fasting of Lent. 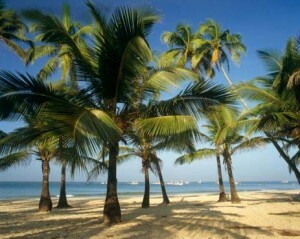 The Goa Carnival Tour is the time for tourists to indulge in feasting, drinking and merrymaking. At the time of carnival the state becomes lively because of a multicultural essence which can be felt through various fun filled activities. Some of the well-known cultural events of the carnival are convoy of decorated chariots, roadside play on famous stories, fancy dress contest, songs, orchestra, dramas based on the King Momo, mask dance and grand feast. 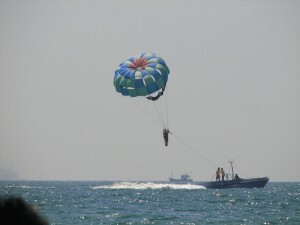 Tourists who want to experience this effervescent cultural celebration prefer Goa Carnival Tour Packages. It is a much-awaited affair in Goa. Its preparations begin from the month of December itself. The grand celebration of this cultural feast enthralls tourists who come here from several parts of the globe.